My family has used the office of Dr. James for six years. The staff is friendly, courteous and helpful. My teenagers really like Dr. James and I appreciate that he takes an interest in them and what they have going on. 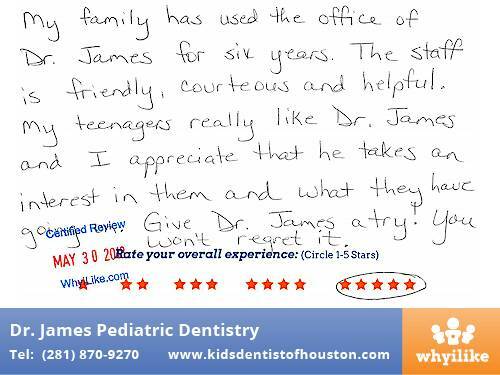 Give Dr. James a try! You won't regret it.